To file or not to file, that is the question. For many homeowners, the threat of rising premiums can outweigh any benefit of filing an insurance claim, even if damage is evident. 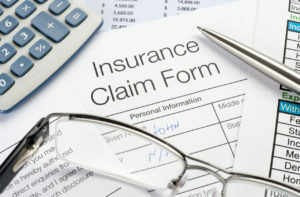 In fact, InsuranceQuotes.com recently came out with a study saying that in some states, filing just one claim with your homeowners insurer can cause your rates to rise as much as 20%. No wonder homeowners are so weary. The typical rule of thumb is not to file unless damage is catastrophic, i.e your house burns down or entire basement floods. However, that rule does not apply to storm damage like severe wind or hail. The difference between an insurance claim from storm damage and a normal insurance claim is storm damage is typically deemed an “Act of God.” You could’ve probably prevented your bathtub from overflowing but you absolutely could not have prevented a hail storm from hitting your house. “Acts of God,” for insurance purposes, are defined as events that occur through natural causes and mostly refers to natural disasters. In this situation, most insurance companies will not raise your individual premium if you file a claim. Why Do They Premiums Sometimes Go Up Anyway? Even if a storm was deemed an “Act of God,” insurance premiums still sometimes go up. This has to do directly with the amount of claims filed in one zip code. After a big storm, this makes a lot of sense as you and most of your neighbors will have damage. Even though your premium did not go up because you personally filed a claim, the general rates for your zip code did rise. The flip side of this is even if you did not personally file an insurance claim related to storm damage, your insurance premium still goes up. 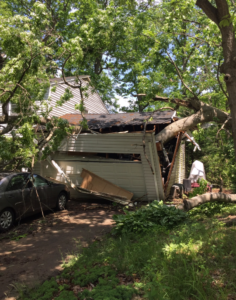 The smartest thing to do when faced with the dilemma of whether or not to file an insurance claim for storm damage is consult a professional. Have a storm damage specialist inspect your home for damage. They will be able to tell you whether damage is minor and you are better off paying for repairs out-of-pocket or if damage to your home is significant enough to warrant a claim. If you know you have credible damage, your best bet it to just file an insurance claim. If you know your zip code has been afflicted by hail or severe wind, you can assume your rates are going to rise. Resisting filing on the small hope it will lessen the amount of claims being filed in your zip code almost never works. If this is the case, you may as well benefit and have your storm damage repairs paid for by insurance. After all, you will be paying regardless.